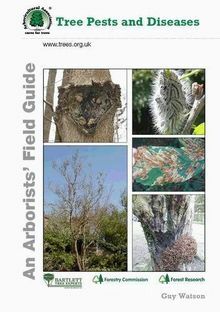 This new guide, written by Guy Watson, is a must have for arborists and contains the most common tree pests and diseases likely to be encountered on a day-to-day basis. It is designed to help the arborist to identify and diagnose potential threats, and also contains useful information on treatment options, including current chemical treatments and their availability, etc. It also addresses the subject of practical biosecurity � what we should be doing on a daily basis to reduce the risk of moving infection from site to site.